This is the third post on women and hypothyroidism. If you like, start with the first post. Hopefully you read the last post on Nutrition for your Thyroid. This is Step One, for all types of hypothyroidism. Here I focus on a functional type of hypothyroidism: T4 to T3 conversion deficits. This happens in peripheral tissues, organs, and cells. With conversion deficiencies, your thyroid gland is often functional. It has the necessary ingredients to produce T4. The problem is that your T4 is not properly converted into active/free T3, which is what your peripheral tissues and cells use. You need enzymes for this conversion, called the deoidinase enzymes. I briefly describe the function of these enzymes, for those of you who like to know the physiology. If your eyes glaze over, skip to the next section. This enzyme converts T4 into T3 throughout your whole body, except for your pituitary gland. D2 converts T4 into active T3 only in your pituitary gland. It’s about 1,000 times more efficient than D1. This means that 80-90% of T4 in your pituitary gland gets converted to active T3, but in your tissues and cells it’s only 40-50%. D3 converts T4 into inactive (junk) reverse T3 (rT3). RT3 takes up receptor sites for active T3. In other words, it blocks active T3. D3 competes with D1. This is why we measure rT3. There is no D3 in your pituitary gland. This is yet another reason why T3 levels are higher in your pituitary. 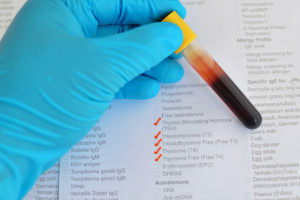 Since the signals to make thyroid hormone (TSH) come from your pituitary, TSH can be normal according to your pituitary gland, but not an accurate marker for whole body hypothyroidism. Why is it important to assess conversion deficits? 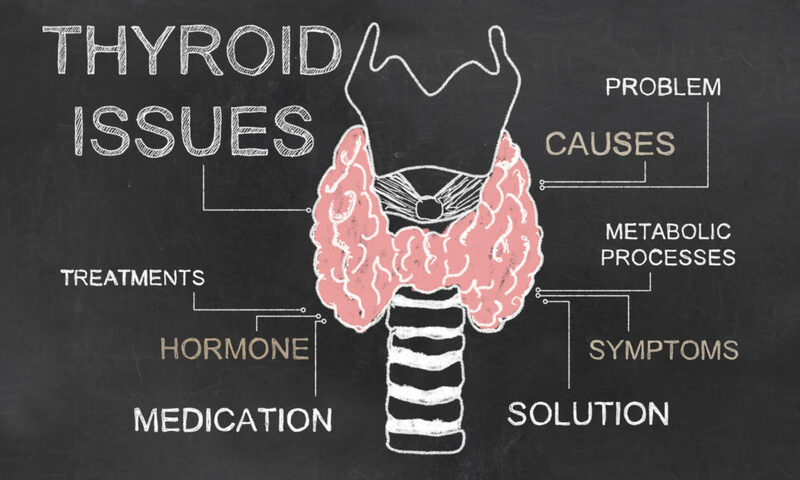 If you are hypothyroid because of a conversion problem, then T4 hormone replacement medication may not be appropriate. You may be a cases for a T3-only approach, while you address underlying causes of your conversion problem. Hormone replacement may not be necessary, or be temporary. If there’s nothing wrong with your thyroid gland, then it is completely possible to not be on thyroid hormone replacement permanently. (It is possible to have conversion deficits and Hashimoto’s, and these cases are more complex). How do you determine if you have conversion deficits? Your labs fit one of the following scenarios. You have one or more of the conditions listed further down. TSH levels can be normal or elevated. T4 levels are typically fine. Free/active T3 levels can be low, or normal. Reverse T3 (rT3) levels may be high. The ratio between free T3 and rT3 may be low (under 20). Often all thyroid labs are normal! Since your labs can be normal, we need to pay close attention to your symptoms. We need to consider the following conditions, and evaluate if tissue hypothyroid, undetected by labs, is present. When D1 is blocked, D3 is increased, and D2 is up-regulated, it’s the perfect storm for tissue hypothyroidism. In Functional Medicine, we find which of these factors is the cause, and work to resolve it. We don’t just offer thyroid hormones and call it a day. 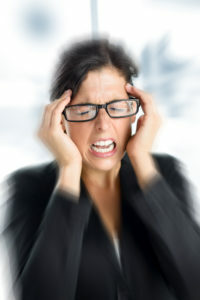 Chronic stress raises your cortisol. Elevated cortisol lowers active T3. Chronically elevated cortisol disrupts your brain-adrenal communication, otherwise known as your HPA axis. Many depressed and bipolar patients have thyroid dysfunction as a contributor to their depression. In this study, T3 therapy was more effective than 14 other medications to treat bipolar disorder, and the same was found in the STAR*D Report for depression. Pain disrupts D1 and D2, and causes tissue and cellular hypothyroidism. These pain specialists understand this and recommend T3 supplementation to patients with significant pain. Acute or chronic dieting lowers your cellular T3 levels by up to 50%. 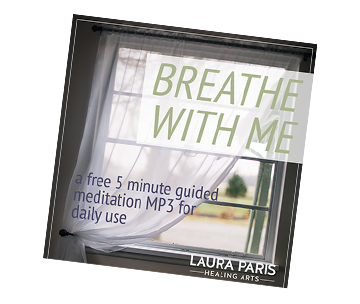 This reduces your basal metabolic rate (number of calories burned per day) by 15-40%. 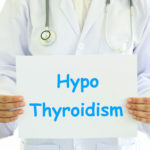 After chronic dieting, your thyroid levels and metabolism often do not return to normal levels. Your body can stay in starvation mode for years, making it very difficult to lose weight, or maintain lost weight. Insulin resistance, diabetes, and metabolic syndrome reduce T4 to T3 conversion. These are cases in which T4 supplementation alone may not be effective. T3 alone could help. Leptin regulates your weight and metabolism. You secrete leptin when you gain weight, to signal your brain (hypothalamus) that you have enough energy (fat) stores. Your hypothalamus should then reduce your hunger, increase your satiety, boost your resting metabolism, and increase fat breakdown. Research shows that leptin signaling is dysfunctional in the majority of women who can’t lose weight. The majority of overweight women are able to produce leptin; however, they have leptin resistance. Your brain senses leptin resistance as starvation, and causes you to increase fat stores, rather than burn excess fat. Leptin resistance results in low cellular T3. Women who perform excessive exercise, especially while dieting, have reduced T4 to T3 conversion, and increased rT3, which counteracts the positive effects of exercise. A Functional Medicine approach: Alter exercise to strength-training, fat-burning approaches, or burst / interval training. Limit sustained aerobic exercise. Avoid excess calorie reduction. Iron deficiency can reduce T4 to T3 conversion, increase reverse T3 levels, and block the metabolism boosting properties of thyroid hormone. Low iron (iron saturation below 25, or ferritin below 70), can result in low cellular T3 levels. Inflammation decreases D1 activity, and reduces tissue T3 levels. This includes inflammation from physical or emotional stress, obesity, diabetes, depression, menopause, heart disease, autoimmune disease, injury, chronic infections, and cancer. Numerous toxins, including plastics, pesticides, mercury, and flame retardants, block tissue thyroid receptors and reduce T4 to T3 conversion. Conversion deficits are not always easy to assess, evaluate, and treat. However; this kind of detective work is what we Functional Medicine hormone specialists are familiar with. In summary, if you have hypothyroid symptoms, and you have one or more of the above conditions, get an assessment for conversion deficits. You may take T3 hormone, or supplements that support T3, while addressing the underlying causes for conversion problems. *Please know that these Functional Medicine approaches are suggestions, and that in clinical situations, patients may be more complex and may need a more complex approach. Is it possible that a long-term, chronic infection like SIBO ( small intestine bacterial overgrowth) or having parasites could cause poor T4 to T3 conversion? Would the chronic inflammation from these infections affect T4-T3 conversion? There’s a myriad of ways that inflammation from a gut infection or overgrowth could affect thyroid hormone conversion, sure. Thank you so much for all the detailed explanations of hypothyroidism. I’ve just learned a lot. I was diagnosed with Hashimoto’s about 6 years ago and currently on Levothyroxin. Something tells me the medication isn’t working right; i struggle with chronic iron deficiency, inflammation and pain in the knees, hip, constipation, brain fog, always tired, high heart rate, increasing sugar in the blood,… At times I feel like my body is giving up on me, but my doctor says that my lab tests are normal so we never changed the treatment or even the dose of the meds I take. I am definitely going to have the T4 conversion into T3 looked into . what else should i do? Definitely gut investigation – see my blog on putting out the fire of autoimmunity.